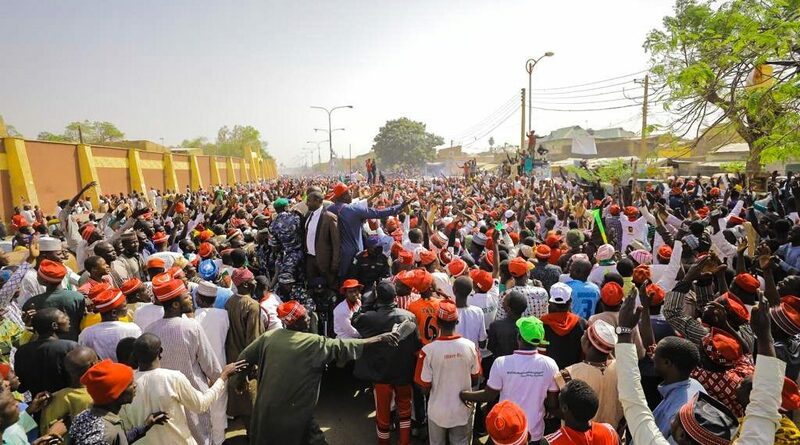 KANO State has condemned what it described as the attacks meted out on innocent residents of the state capital by alleged elements of Kwankwasiyya group during the Peopleâ€™s Democratic Party (PDP) presidential rally yesterday at Sani Abacha Stadium, Kofar Mata. A statement issued by the Commissioner for Information, Youth and Culture Malam Muhammad Garba said the group members, who were allegedly disturbed by the dislodgement of their leader, Rabiâ€™u Kwankwaso in Kanoâ€™s political scene, adopted violence to vent their anger over the success of the APC at all level. The commissioner noted that while the APC government gave a level-playing field for the opposition and committed to peaceful electioneering campaign, â€œit is really unfortunate that the group do not want the peaceful political atmosphere that has been entrenched by the present government in the stateâ€. â€œWe observe with concern the use of violence by the disenchanted group, particularly now that elections at various levels are just around the corner. This is a deliberate plot by Kwankwasiyya group to instill fear in the minds of residents to discourage them from exercising their franchiseâ€, the statement added. Garba added that alleged â€œunguarded utterances by the leadership of the group is driving the thugs within its rank to intemperate fear on residents in some parts of the metropolis by smashing vehicles, assaulting and grabbing mobile phones from unsuspecting members of the publicâ€.